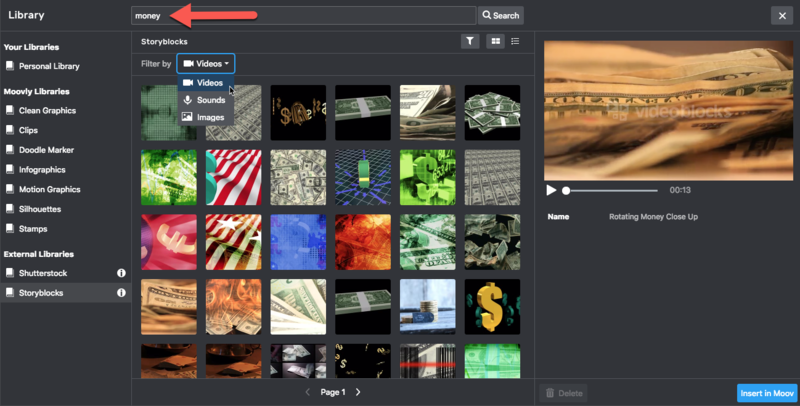 Storyblocks (formerly VideoBlocks) is a leading and award winning stock media company Moovly has partnered with to bring our users more than 600,000 free media assets. Do you need an airport video to include in your project? 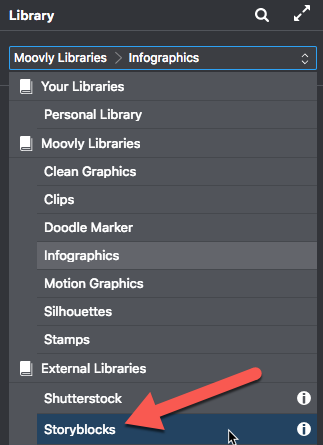 Storyblocks has that! Do you need a sunset or an office background? Or some great background music beat?Storyblocks has that, too! When you've found what you were looking for, click the 'Insert' button the object will be added to the Stage! If you don't find what you want, make sure to check out the millions of objects in the iStock by Getty Images library!